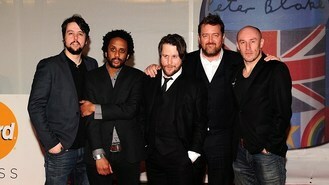 Elbow are set to unveil a major new track at the Isle Of Wight festival this weekend. The award-winning band are currently working on their sixth album and keyboardist Craig Potter revealed they plan to showcase one of their new songs when they perform at at the event on Friday. He told the Star: "We're hoping to play (the track) at Isle Of Wight as it's shaping up to be one of the big songs on our next album. "It's got huge guitars and it's quite psychedelic. I'm not sure if it's a future single, but it sounds like the kind of song which will hopefully be a favourite at our gigs." Craig said the album - the follow-up to 2011's Build A Rocket Boys! - is "30% finished", with singer Guy Garvey getting inspired by countries he's visited. "Guy's lyrics are influenced by travelling the world so far, but it could all change. It's only right near the end of each album that the sound and theme tends to take shape." U2 star Adam Clayton placed his absolute trust in a former personal assistant accused of stealing 2.8 million euro from him, a court has heard. Will.i.am has donated £500,000 to the Prince's Trust, after meeting its founder, the Prince of Wales. U2 star Adam Clayton has begun giving evidence against his former personal assistant accused of embezzling 2.8 million euro of his funds. One Direction apparently ran out of luck in Las Vegas - after getting chucked out of casinos for being too young. Lily Allen has revealed she's back in the recording studio. Carrie Underwood has joked that UK acts are "invading" the US charts. Jermaine Jackson has confessed he has been in tears over the loss of his brother Michael as he rehearses for his upcoming tour. Whitney Houston's mother will apparently perform a tribute to her late daughter alongside other female singers at the upcoming BET Awards.